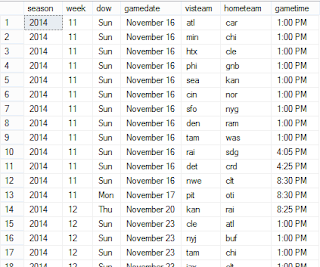 A couple weeks ago I introduced an attempt at rating the weekly NFL matchups in a metric I called WatchFactor. Nothing new or fancy, just a rating system based off the Pythagorean Wins Expectation formulas that has been done several times before. Since I had the Home Team Win Probablility calculated based off the Pythagorean Wins formula, I decided to keep track of how good the method was at predicting games. 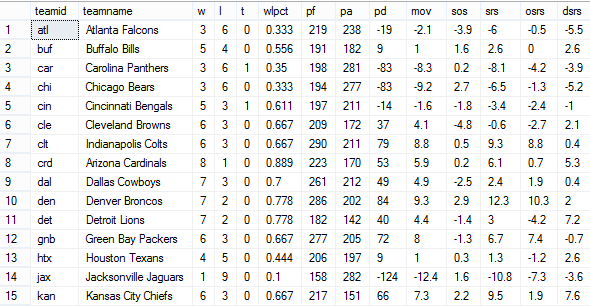 The first week (Week 11) the POW system went 8-6. These are just a few of the outcomes from week 11. Not many people outside of St. Louis saw the Rams beating the Broncos 22 - 7. Saints looked terrible at home against the Bengals. The Patriots dismantled the Colts in Prime time. Week 12 had few games to really get excited about looking at the WatchFactor ratings for the week. 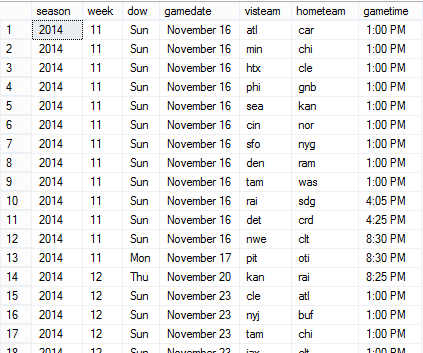 How did POW stack up in Week 12...13-2. BOOM. Look out Vegas. I of course got the Chiefs/Raiers game wrong, and for the second week in a row missed the Bengals pick by picking the Texans over the Bengals. I need to stop betting against the Bengals. 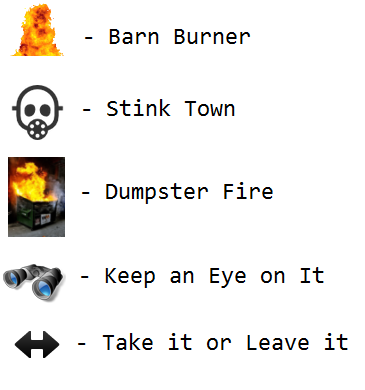 Week 13 is shaping up to be a huge week with 6 Barn Burners (according to the WatchFactor ratings) on the schedule, including two great games slated for Thanksgiving day. We'll see how the well we predict the games this week. Coop and I started a discussion after dinner one evening about which 2-Pack Starburst combo was the best. A debate ensued which led me to make this. Not completely satisfied with the results I quickly created a survey and sent it out to some folks. I also thought I would be a good idea to make a web site to house future surveys. So now going forward when we have these quick little surveys, I'll send out a link to http://www.thejoestory.com/decide. Some people responded and here are the findings. 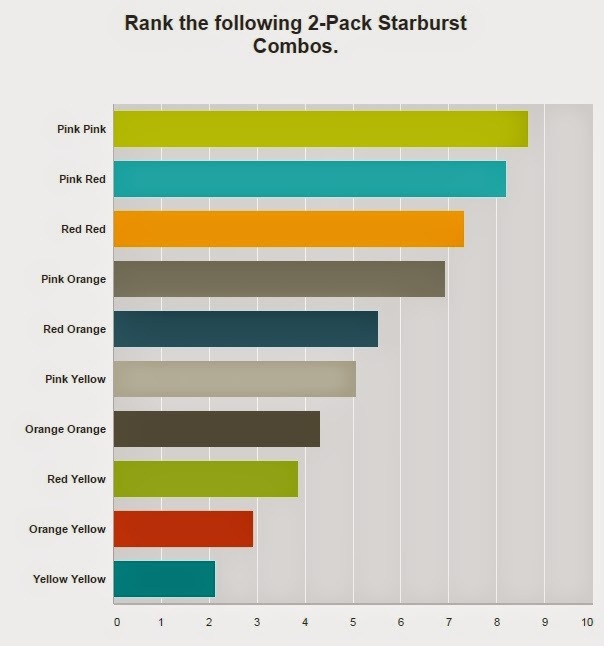 Pink Pink wins by a land slide as the best 2-Pack Starburst combo. However 6.67% of the voters thought Yellow Yellow was the best. Yellow is the least desired color. Pink is strong enough to boost the Pink Yellow combo over Orange Orange. Assuming that folks that score a Pink Yellow just pitch the Yellow in the trash. 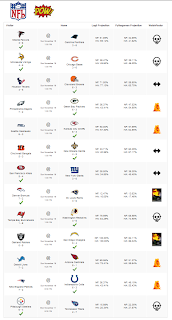 I have been working on an NFL weekly pickem site for a while, thinking I would have friends login and submit weekly NFL picks. Knowing my track record with friend website participation, I decided to try something different. I stumbled on a Grantland article written by Bill Barnwell on the NFL Week 10 recap. Near the bottom of the article he starts talking about Raiders chances of going 0-16 this season. He referenced Bill James Log5 calculation and the Pythagorean Wins Expectation theory on win probabilities. What if I created a site that would project the win probabilities of the home team based on the Log5 and Pythagorean Wins Expectation? For Log5 calculations all I need is the winning percentage of each time. For Pythagorean Wins I just need the points for and points against for each team and apply a little math. The site allows you to plug in the values you have and calculate the win probabilities for the home team. The cool thing about this first attempt is that it works on all major sports by just choosing the home field advantage factor for whatever sport you want. The winners site is good for quick one off matchup projections, however I realized pretty quick that projecting multiple games was tedious. The data for the calculations is readily available on several websites so I took the logical next step. I wrote a couple stored procs to do the projection math and came up with the following result set. Those last 6 columns is the good stuff. The calculated probabilities of the home team winning based on Log5 and Pythagorean Wins on both a neutral field and using home field advantage. 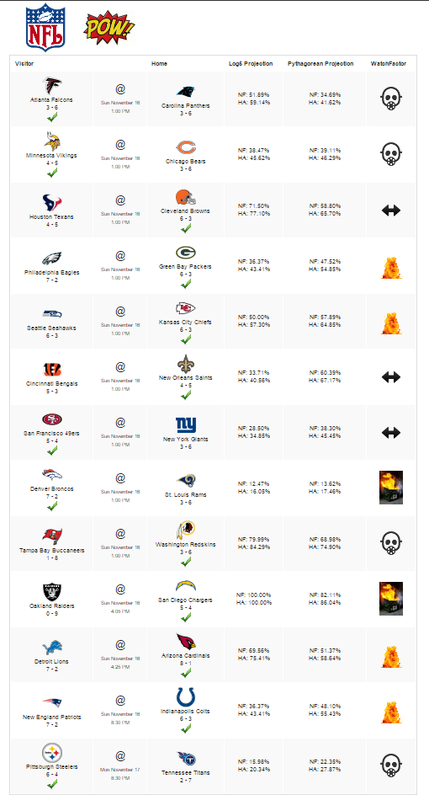 So now all I needed was a website to show the week matchups and probabilities. Small spoiler on that last screenshot. Since I now had the win probabilities for all the week's matchups, why not create a WatchFactor metric that will predict how watchable a NFL game will be. The WatchFactor is broken up into the following categories. 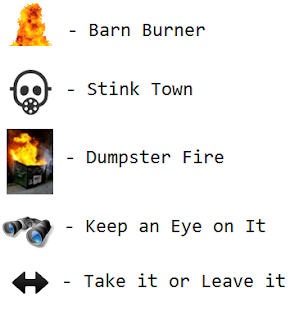 Stink Town Case 1: If Visitor Team Wins < Losses And Home Team Wins < Losses. Case 2: If Home Team Win Probability < 30% and if the matchup is not a dumpster fire Stink town games are uninteresting games. Games between 2 losing teams or games where the home team has less than a 30% chance of winning. Dumpster Fire If home team win probablitiy is <= 20% OR home team win probablity is >= 85%. This game is projected to be a blow out. It is going to get ugly quick. Keep an Eye on It If home team wins = visitor team wins and its not a barn burner or stink town This was an attempt to show those games that could be good games base soley on the fact that the teams have similar records. Take it Or Leave it If the game does not fall into any other category than it’s a take it or leave it Catch all for games that don't fit in a category. 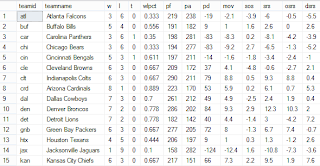 So how accurate are the Log5 and Pythagorean Win Projections at picking the winner? I added the green check mark to the teams that are projected to win using the Pythagorean Wins with Home Field Advantage probability. I wrote a final part to the main python script to update the results table with the winning team and stats about the win (winner points, loser points, etc.). Once I have some data stored up I can start showing how accurate the Log5 and Pythagorean Wins projects can be at picking the matchups. All the NULLS will be updated when the update scripts runs Tuesday morning after the games are finished up. 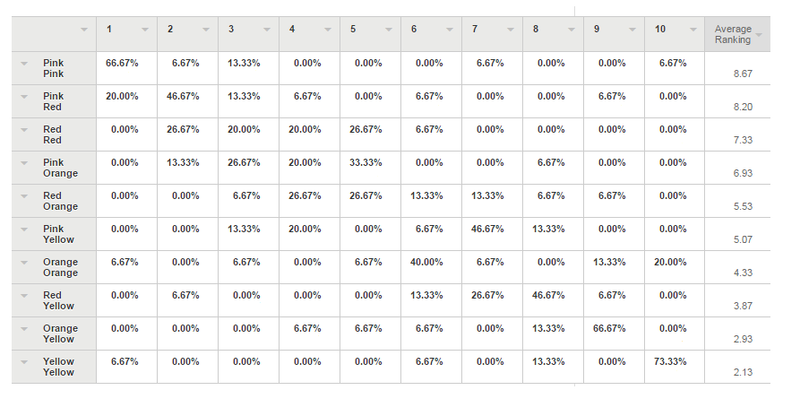 The pPythwinner column shows the projected winner based on the calculated win probabilities. Finally I thought it would be cool and trendy to post the weekly matchup numbers to Twitter with a link back to this article explaining the method to the madness. Using the Twitter Library for Python it was pretty simple. Shortly after I changed jobs in April 2014, I started looking for a fitness center close to work so I could keep working out. With my previous gig I was working out 4-5 times a week. Knocking out a workout over lunch is perfect for me. Making time to workout at home before/after work is a little tougher. Unfortunately the fitness club options were few and high priced between. There is an awesome high end fitness club/spa type place right next door, but it is the price of a nice cable TV package per month. As sort of a stop-gap solution I figured I could just walk around the neighborhoods near the office a few times a day and figure out what I want to do. 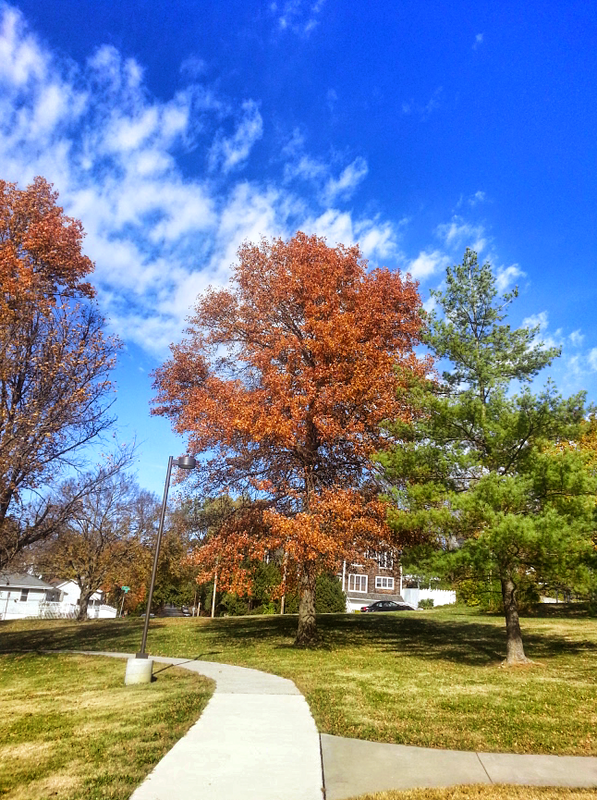 Westwood park is a perfect park for walking and it is located just across the street from my building. 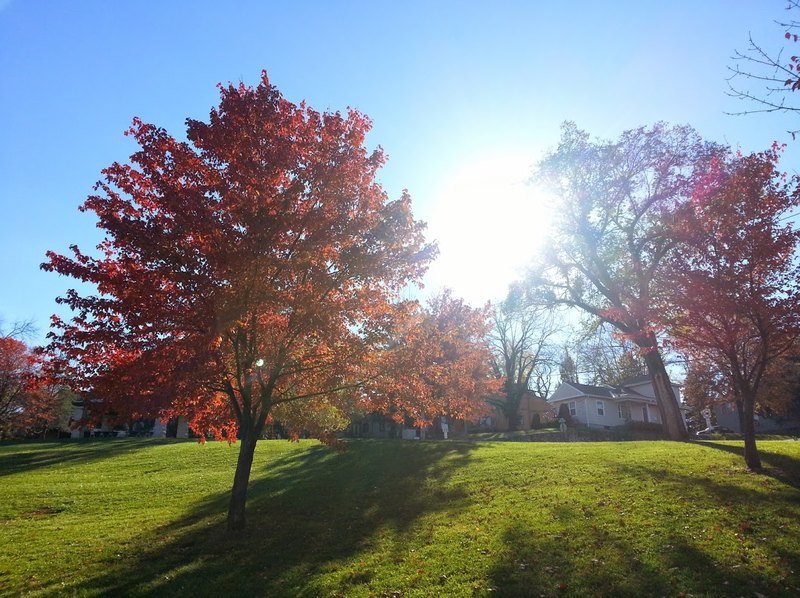 The park is situated on an entire city block, so its nice and spread out. 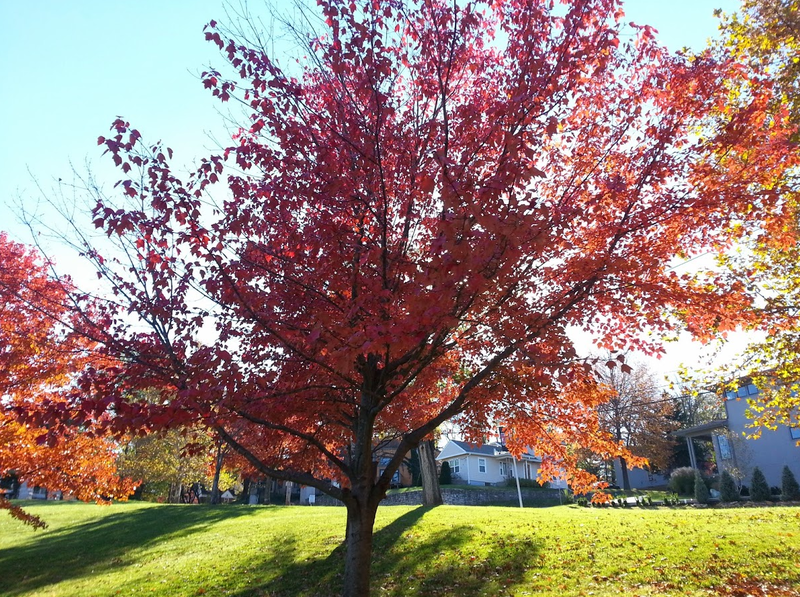 The park has side walk walking trails, several tall trees, playground equipment, a baseball diamond, and a picnic shelter. So one day in early July I started walking the park on my smoke breaks (I don't smoke, I just call them smoke breaks). If you have read much of my blog you could probably start to guess what is about to happen. I started thinking what if I started tracking laps in this park? I could start timing each lap, see how fast I could walk a lap, compare the laps over time, etc. It is almost like an illness. I am constantly looking for datasets in everyday activities. I used Google maps to carve out a lap and on July 8th I tracked my first three laps. Using my trusty Timex stopwatch I tracked the lap times: 5 minutes 30 seconds, 5 minutes 34 seconds, and 5 minutes 53 seconds. I considered 5 minutes and 30 seconds the baseline. Again the first approach to this experiment was to see how fast I could power walk a lap. In order to decide which laps will be counted in the fastest laps record book, I setup a couple rules. Rule 1: All steps must be on the sidewalk, no walking in the grass. Rule 2: You can only walk, no jogging. Rule 2 was pretty subjective, I mean I was not following the official Speedwalk rule book, but basically I said no jogging, just power walking. I had an epiphany on day 2, July 9th. After tracking 2 more Personal Best Record (PBR) laps (5:23 and 5:16), I said "Self! why am I not breaking these laps up into segments." 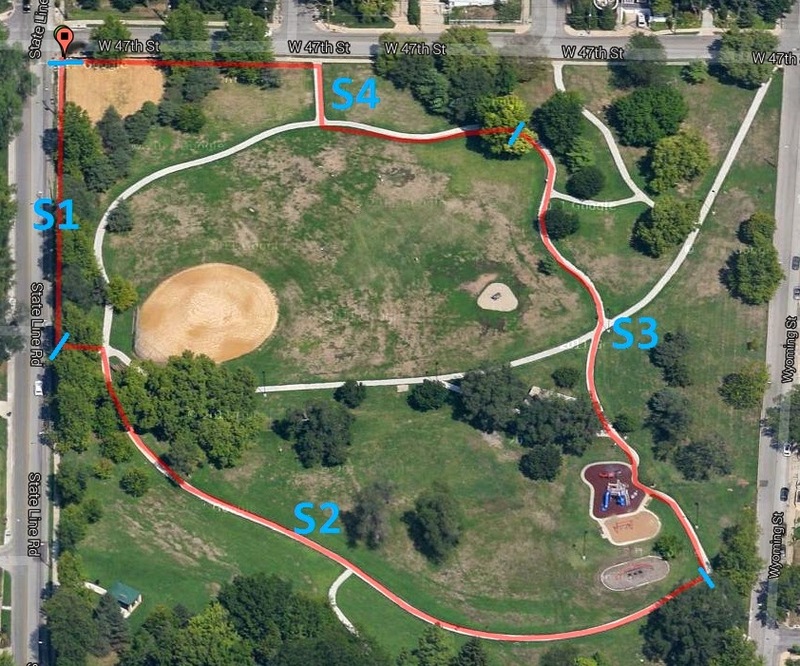 Instead of tracking one large lap, I should break the laps up into segments to see which parts of the course I need to work on. Again using Google Maps I split the track up into four segments (s1,s2,s3,s4). This allowed me to measure my time with more granularity. Who doesn't like more granularity? With the new segment tracking in place I was well on my way to fastest lap time greatness. After each walk I could review the segments and try to determine where I could improve comparing times to previous segments. With each lap I was walking faster and faster, pushing harder to get the time lower. At some point I knew I would reach my Terminal Walking Velocity and would not be able to shave anymore time off the route unless I ran. That day came on July 24 on Lap 3. Lap 1 and 2 on July 24th were pretty fast laps (5:00 and 4:57). I started the final stretch of Lap 2 and was determined to power walk the entire last lap with laser beam focus and extreme vigor. After the dust settled and the shin splits subsided I realized I had made history that day my friends. This lap was the fastest Westwood Park Speed lap humanly possible by thejoestory. Sixteen days after starting I had reached Terminal Walking Velocity average 4.98 MPH on the entire lap, a 12 minute mile pace. At this point I wasn't really sure what to try next with the experiment, having reached the fastest lap. I had started tracking distance during week 2 and started to wonder. How long would it take me to get 100 miles completed on this route I had carved out? What if I tracked and recorded the data on every lap for 100 miles and then wrote an article on it? Here we are my friends. Near the end of the July I estimated it would probably take until the end of October to finish the 100 miles. So I set courses for 100 miles and started eating laps in the park just about everyday I was in the office. I reached 100 miles on 11/6/2014 just over my projected date and it felt good to be finished with this project. With about 40 laps to go I was getting burned out on this route and I wanted to switch it up a little. However, I pressed on and logged a total of 263 laps in the park with a total distance of 100.36 miles. Naturally my co-workers started wondering why I was walking so many laps around the park. I let them come out and get a little taste of a power walk lap with me. I had to throw these times out because they couldn't handle my power walking prowess. I threw out a total of 6 laps because their slow lap times were skewing my numbers quiet a bit. 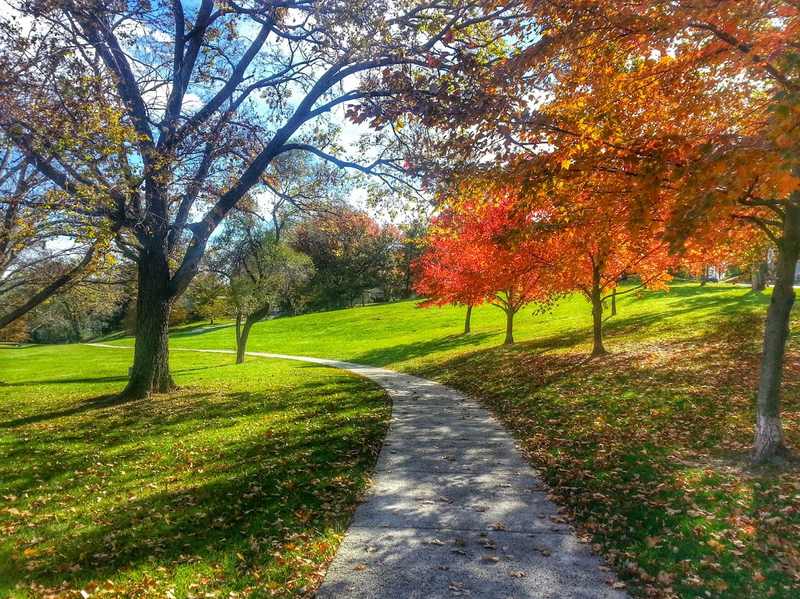 As mentioned the course was a walking trail in Westwood Park. Here is a quick picture tour of the course. Sorry this is a sad attempt at trying to embed a google photo album into its blogging software. Come on Google we deserve better free services than this. Geez! Here is an overhead view of the four segments. So each lap was 2015 feet or .38 of a mile. During each smoke break I would try to get a 3 lap set completed which took a little over 15 minutes. See table below for lap/distance calculations. The new gig affords me the luxury of working from home some days. You can see with the lap counts that the days of choice are Fridays and Mondays. The majority of WFH days are Fridays and you can see the low lap count. Thursday was the record breaking day with the fastest lap recorded. 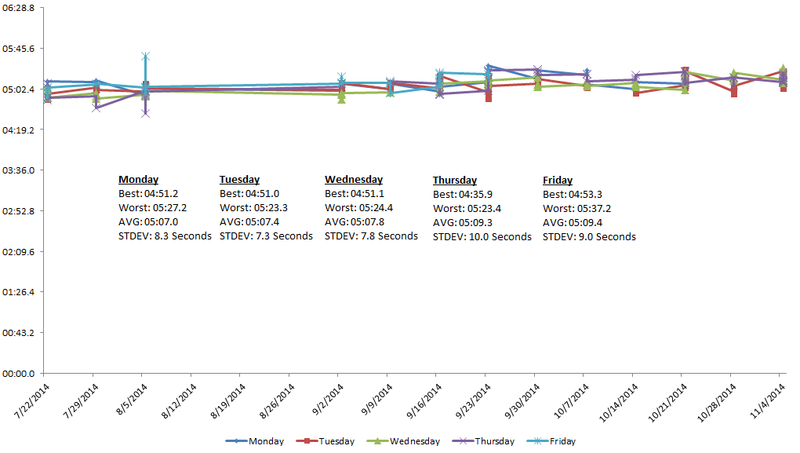 Thursdays laps were also the most sporadic with a 10 second lap standard deviation. I spent a little over 21 hours completing this project. S1 has a really low standard deviation of 1.5 seconds. That is equivalent to roughly 6 feet. Wild to think over 260 something laps that the first lap was that consistent. One of the intial goals of the speed walks in the park was to keep active and excercise. Using the Run Keeper app I was able to calculate the number of calories burned / lap. Run Keeper calculated I burned 60 calories/lap. That works out real convenient since standard lap set was 3 making my standard calories burned 180, which so happens to roughly equal the amount of calories in a 12 oz. can of Mt. Dew (170). So how many total calories did I burn in this experiment? 15,780 calories burned. Or 92.8 Mt. Dews. Man I love some Cool Ranch Tacos. I should eat 78 of them, because I earned it. 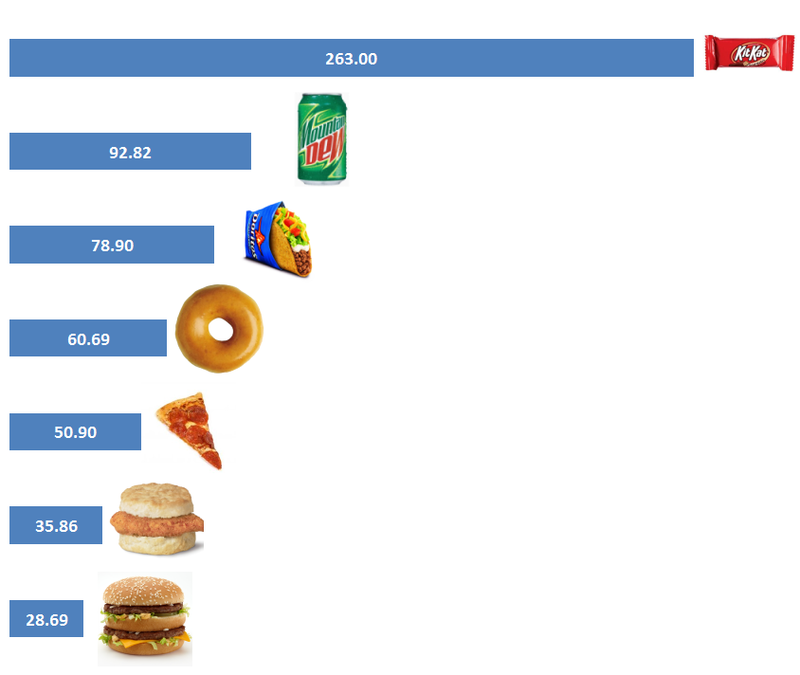 After creating this chart I wanted to create a web site to allow people to plug in numbers and figure out how long it would take for them to burn off the item. I have to put that on the TODO list. I attached the heart rate monitor and tracked a few laps. Here is a 3 lap sample heart rate snapshot. One cool thing the Heart Rate shows is that I am elevating my heart rated during the walks. Since I work in the computer biz I have to make it a point to get up and keep moving throughout the day. It would be easy for me to sit long periods of time at work with no activity. I am trying to stay as active as possible during the work day. Here is the Raw Segment Data in all of its glorious splendor. Given the awesome photo library embed earlier, not sure how this google sheet document will embed but it's worth a shot. 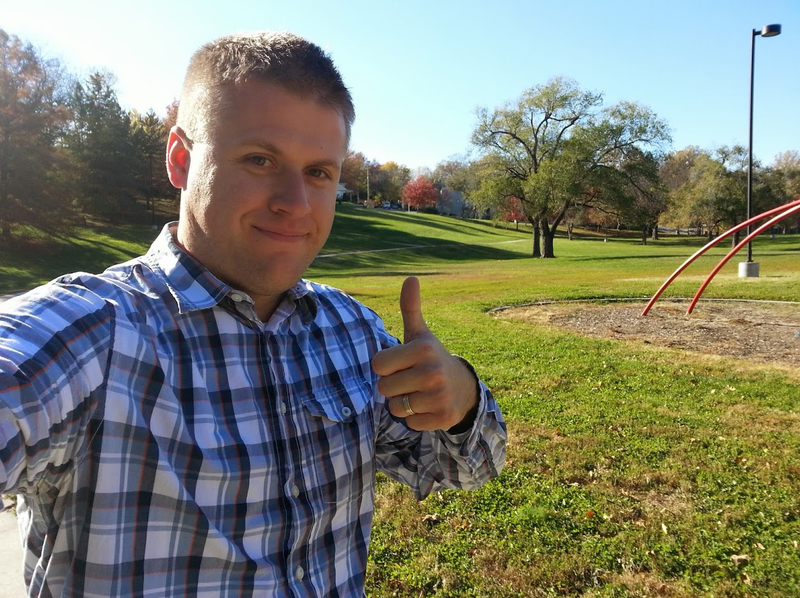 So my four month Walk in the Park data collection project comes to an end. I can honestly say I was tired of collecting data for this thing. I am ready now to explore the surrounding neighborhoods near work. Here is a list of things I saw while on the walks. Finally here are a few more pictures of the Terminal Velocity Speed Power Walk project of 2014. Several metro areas are exposing more and more data to the public. Kansas City uses the service Socrata as a data portal to serve up all kinds of information about the city. If you have not explored the data available to the fine citizens of Kansas City, make your way https://data.kcmo.org/ and check it out. 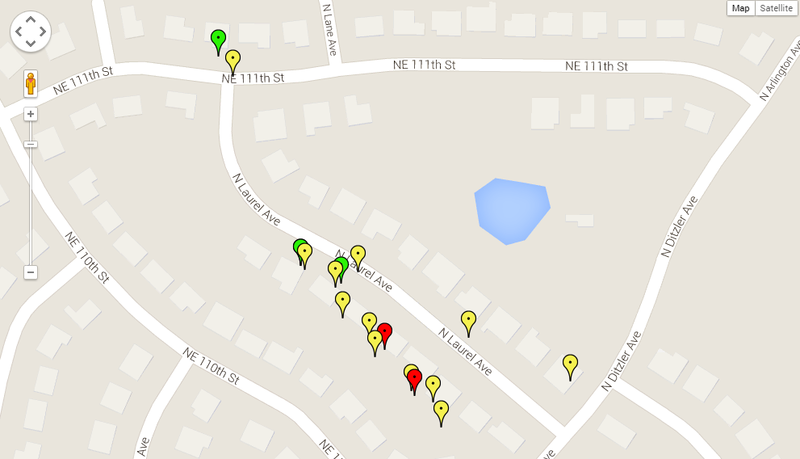 One cool data set they recently released is the Tornado Siren Location. They are claiming 100% coverage on the metro area with the Tornado Siren System. 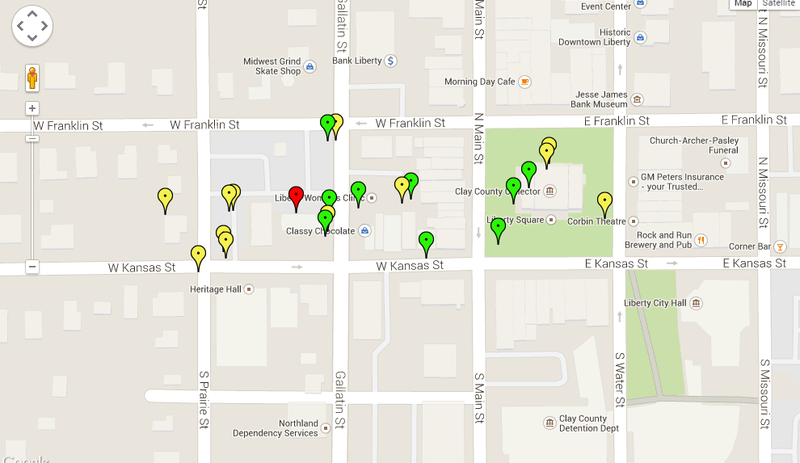 Using the open data portal I was able to quickly dump the data to a CSV file and map it out using Google maps. Of course the data portal will make a map for you, but the option to download the data is a great feature if you are planning to use the data some other way. Perhaps you are looking for answers to these questions. Tons and tons of interesting information available through the web site. 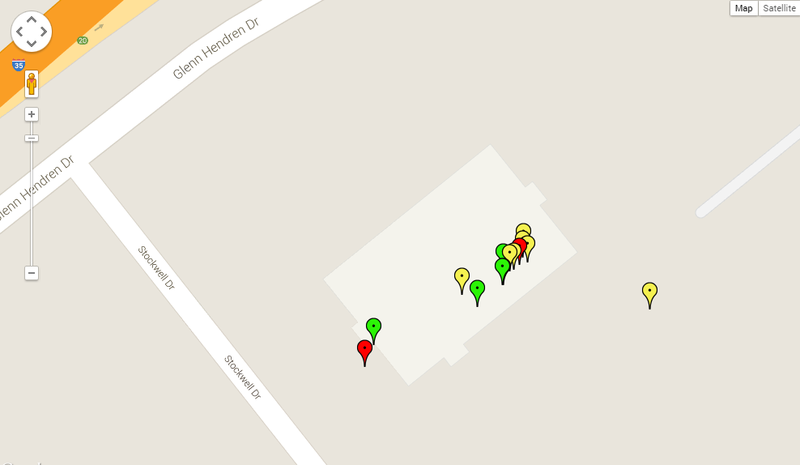 As mentioned in the previous post I created the Candy Tracker mobile website to track the candy received by the boys on Halloween night. I sent the link out to my friends, and as usual, it didn't exactly go viral. I however got some good use out of it. 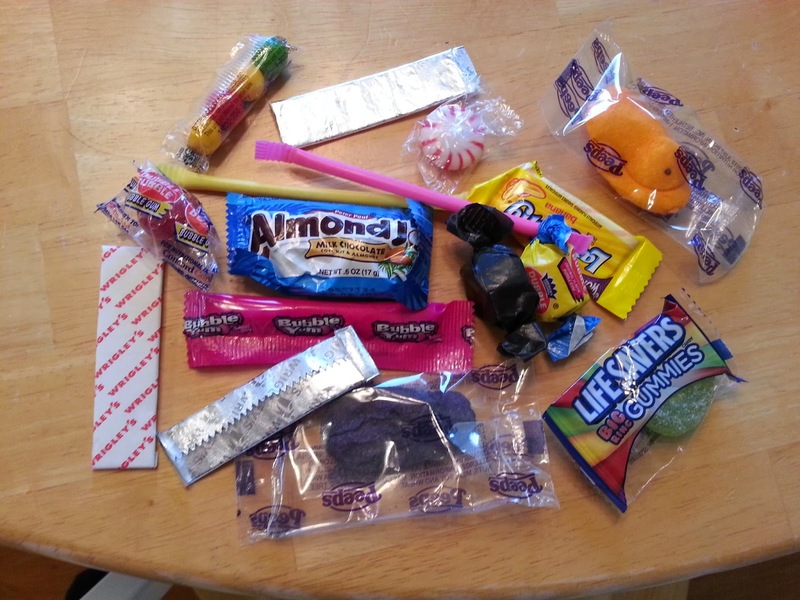 I tried to log each piece of candy the boys received. The main hurdles to overcome where cold hands and spider man/hulk masks preventing the boys from seeing what candy they received. 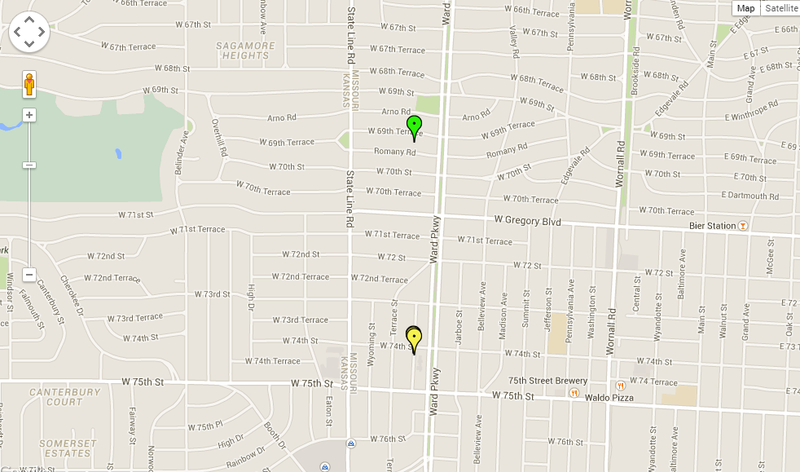 As entries were posted to the Candy Tracker app, pins were placed on the SweetSpot Real-Time Candy Tracker map. This allowed you to see where the best candy was being doled out. Below is a review of each of the spots that were logged. We hit a total of four places Halloween night. 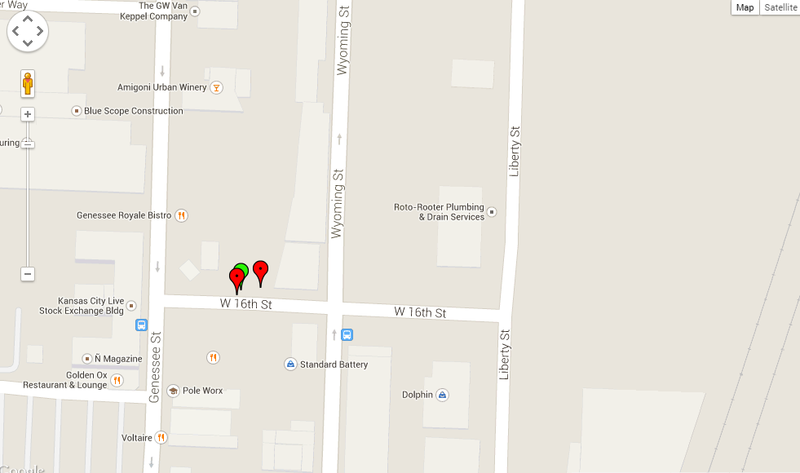 I did have one other person log a few pieces of candy and also pasted his maps below. First stop of the evening was the Trunk-or-Treak over at the Liberty Clinic. As you can see it was a pretty decent score. We received 2 bags of pretzels indicated by the red pins. You'll notice the first instance of my GPS being a little off with the wild Yellow pin (sucker) off in the distance. 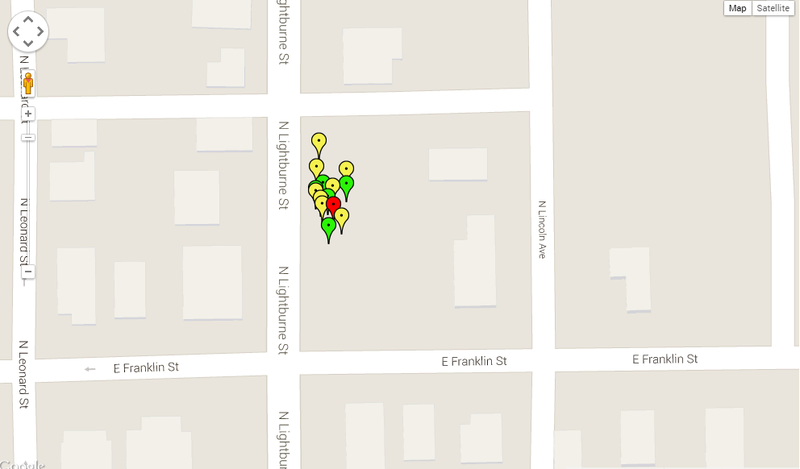 We did score 2 Twix, a Snickers, and a Milky Way shown by the green pins. All and all not a bad haul. Some of the trunks were decorated really cool. We also scored 3 frisbees. Second stop of the evening was the Liberty Square. The businesses around the square hand out candy, the fireman park a fire truck and the police help direct traffic. We really like the square because you get a good amount of candy, it starts when its still daylight, and is pretty easy to guide the kids around the block. You can tell my GPS was really struggling here because all of the business are located around that center green square labeled Liberty Square. You can see the pins are all over the board. 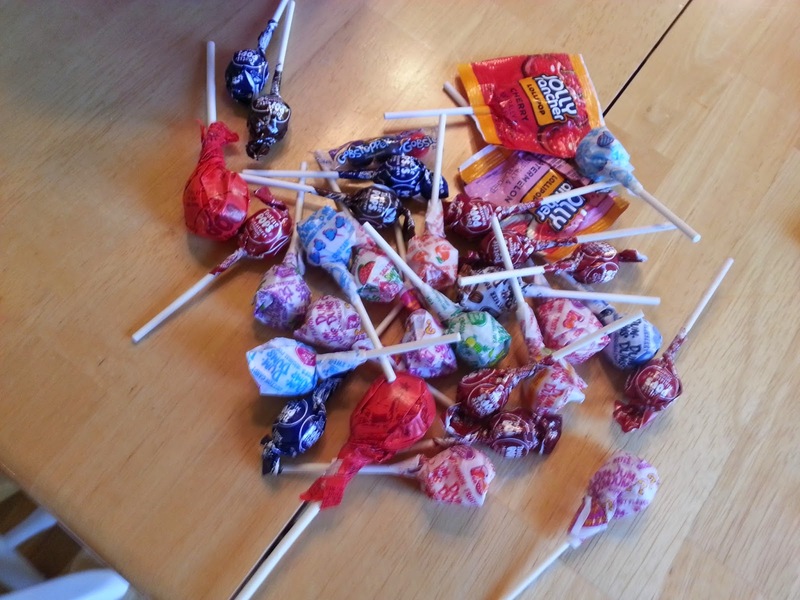 We found some great variety here and we had only one low rated candy with a sucker rated a 3. The third stop of the evening was another Trunk-or-Treat located a couple blocks from the square. Here we landed a dreaded Peanut Butter Chew. Other than that we made out like bandits. Good quality candy here. Oh and we also scored some pumpkin bookmarks. Final stop of the evening was Grandma's street. Lots of yellows here in Grandma's neighborhood. It may have been that my hands were getting cold and I was getting tired of chasing the boys around. Anyway again we had some good scores mixed in with some so-so candy. Below are a couple maps from a friend. He logged 6 pieces of candy total. Tier 1 - High Quality candy, the best of the best. Always chocolate. Nothing fruity makes this Tier. 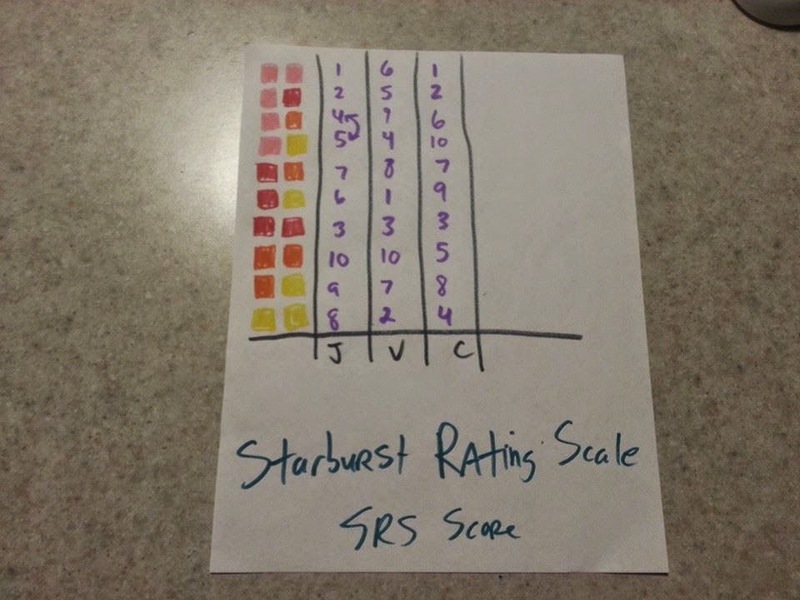 Strawberry Starburst is the only fruity candy that almost cracks Tier 1 barrier. Tier 2 - The second best candy. You eat this candy when all the Tier 1 candy is gone. Every once in a while you spread in a Tier 2 piece among the Tier 1 consumption. The high end fruity candy is here. Bags - Items that were in bags, but not in other Tiers. The good news is that we received a lot of Tier 1 candy. Most normal people bring out the good stuff for Halloween. 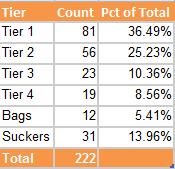 A full 61% of all candy was in Tier 1 and 2. 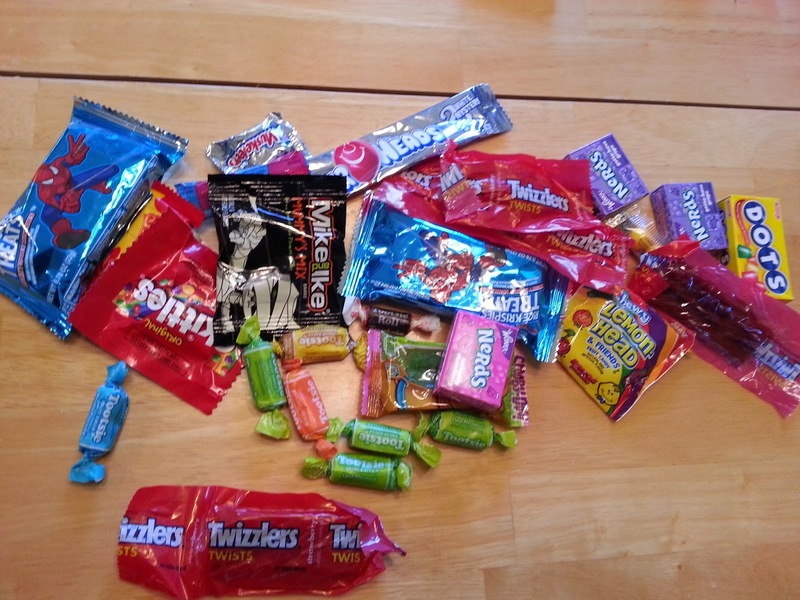 Suckers were pretty huge this year coming in as 14% of all candy received. 8.56% of the candy is going straight to the trash (Tier 4 stuff). We actually got 3 Sticks of gum. Here is how the candy rated over all. Milky Way scored the highest average rating. Not just because its my favorite, but because its the best. Laffy Taffy with a surprise 7 rating. I chalk this up to not knowing we landed a Banana Laffy Taffy. 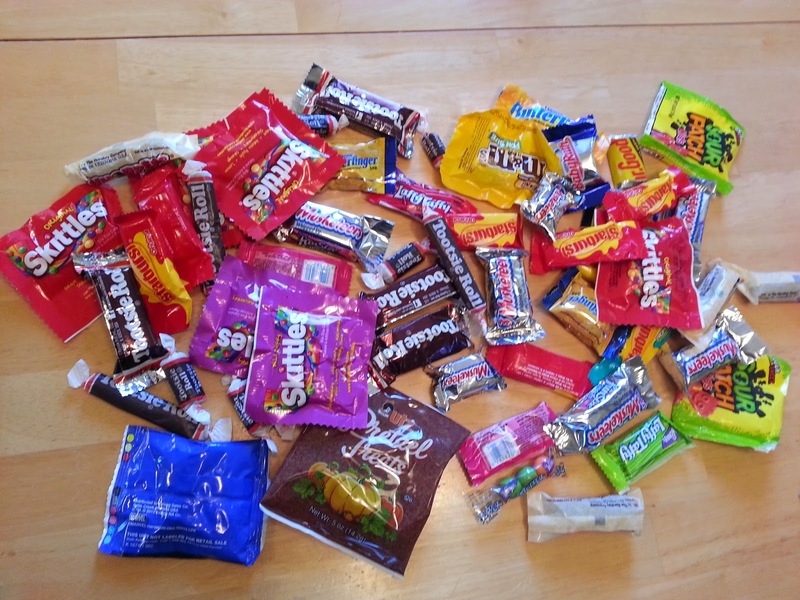 We scored a few pieces of non-candy. One of the best scores was the Glow in the Dark Skeleton. The pumpkin bookmarks were a hit with the boys, as well as the Ice/Heat packs we received from The Liberty Clinic. We also scored 3 new Orange Full Size Frisbees. This is easily one of the best Non-Candy Halloween nights we've had. Total Counts are show in the table below. 222 Pieces counted overall. 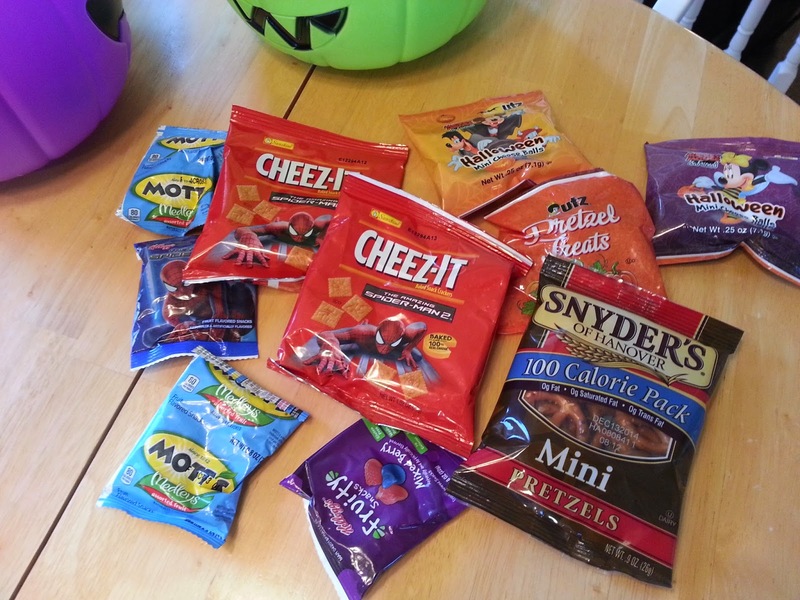 This does not count a "few" pieces we enjoyed celebrating the epic Halloween Haul. 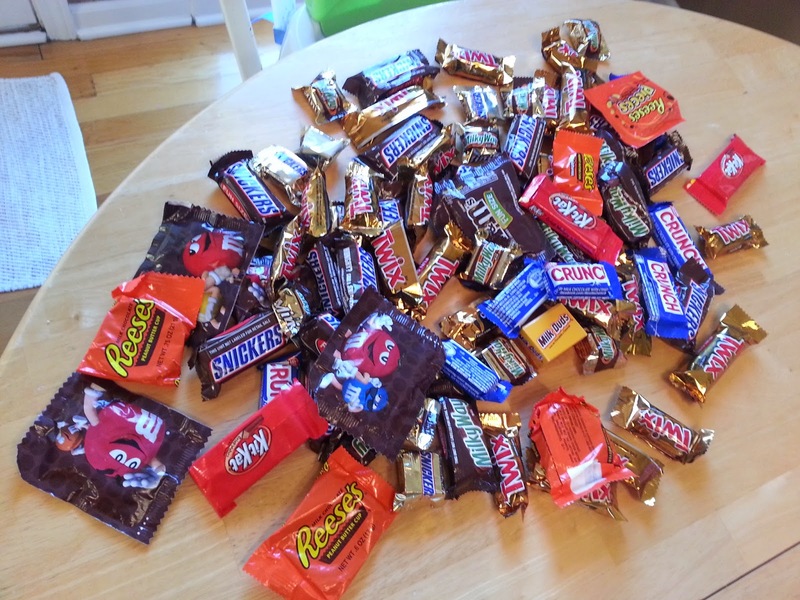 Still its a good gauge of how much free candy the boys brought home. Here are the counts for each Tier.